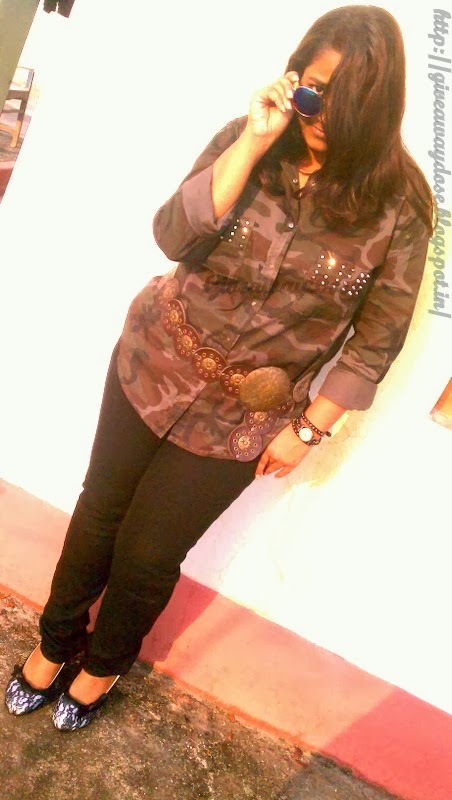 Giveaway dose: Going Chic with Camouflage Shirt ! Beautiful shirt !! nice style . 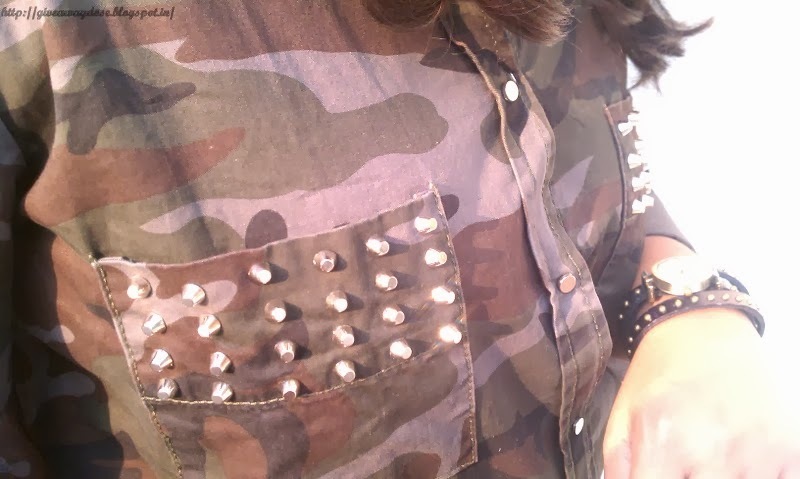 Love the shirt <3 <3 Great outfit!!! 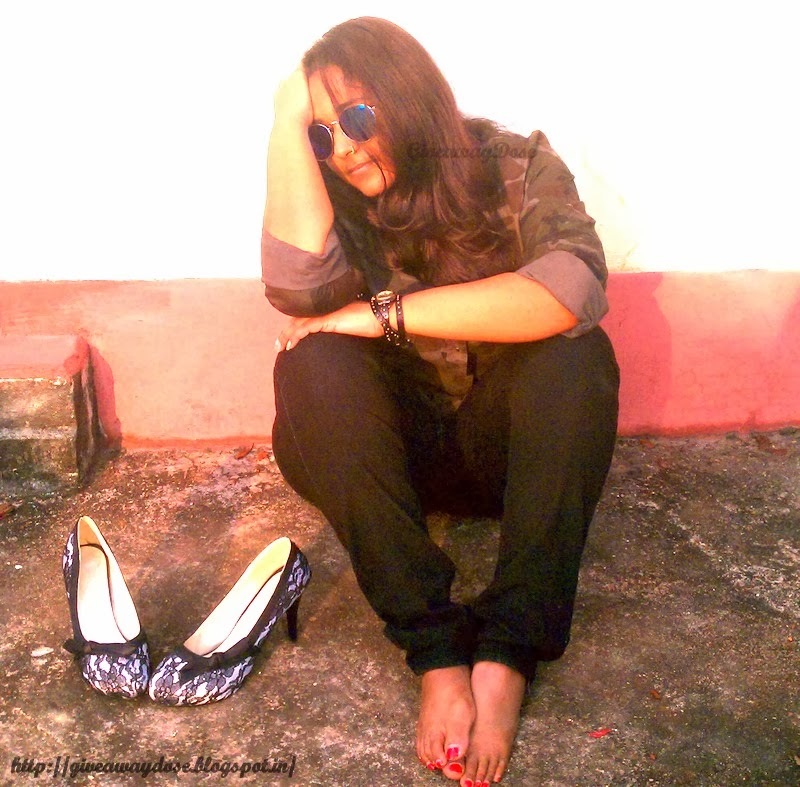 The shoes are a little bit too much for me, a simple stiletto will work better, but that's my taste, no be offended. Your outfit is really cute! I love the sunglasses!